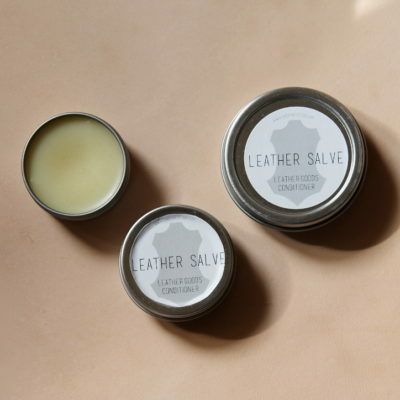 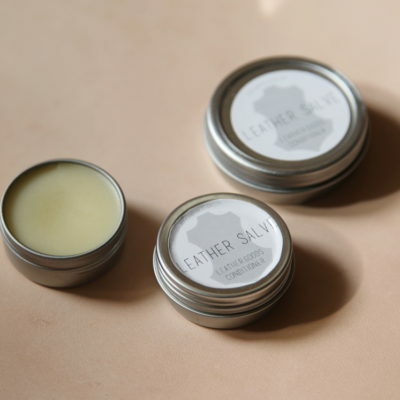 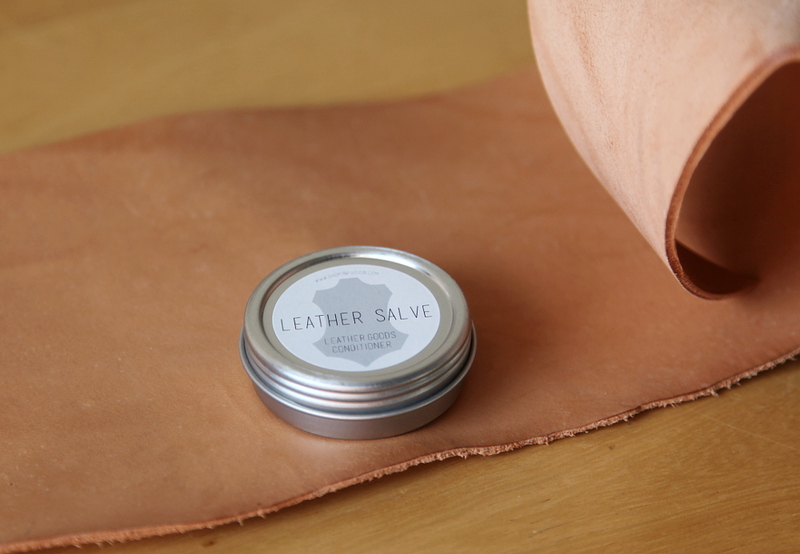 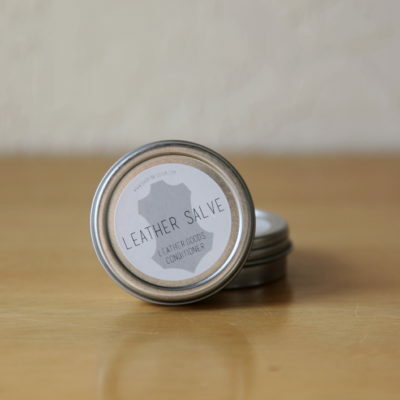 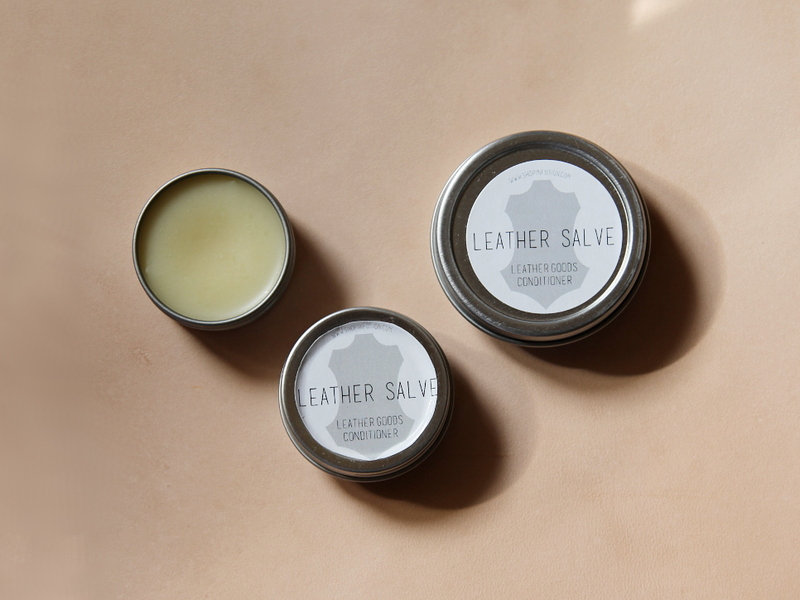 Keep your natural leather goods conditioned and protected with our handmade Leather Salve. 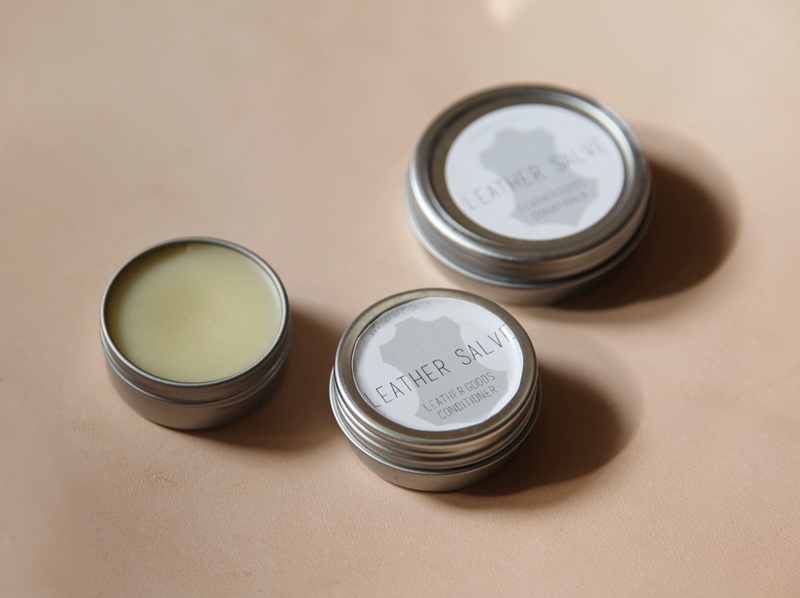 Made with a blend of natural oils, butters and organic beeswax. 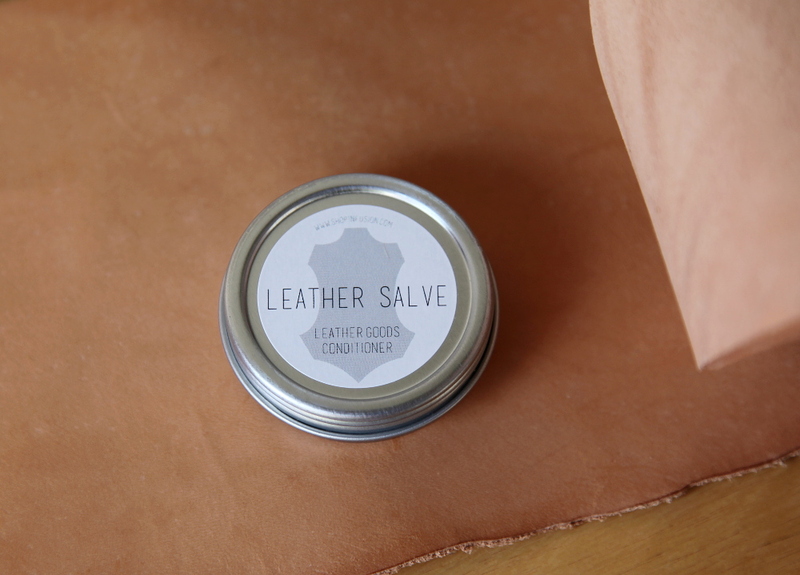 Our Leather Salve restores moisture, helps prevent cracking and brings out the natural lustre in your leather goods. 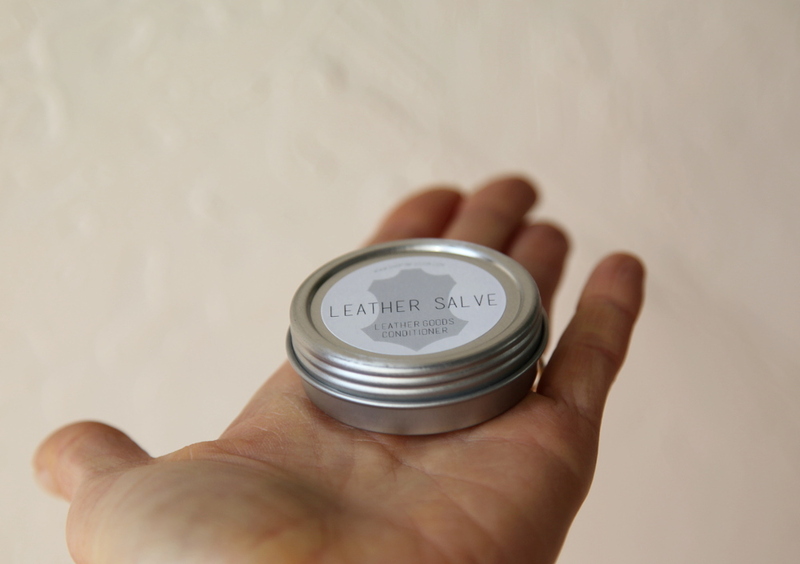 Can be applied with your hands or with a soft cotton cloth. 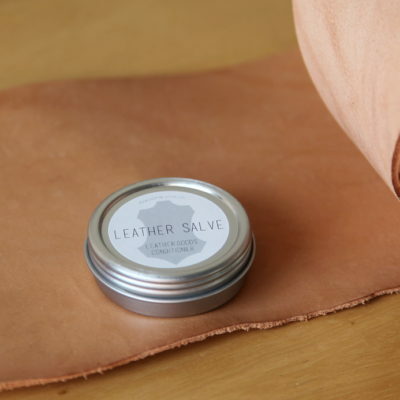 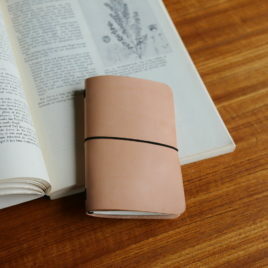 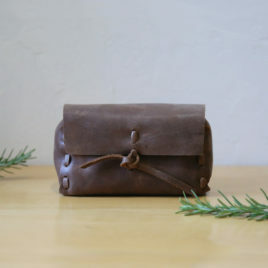 Once the salve has been absorbed, buff the leather with a soft cloth. 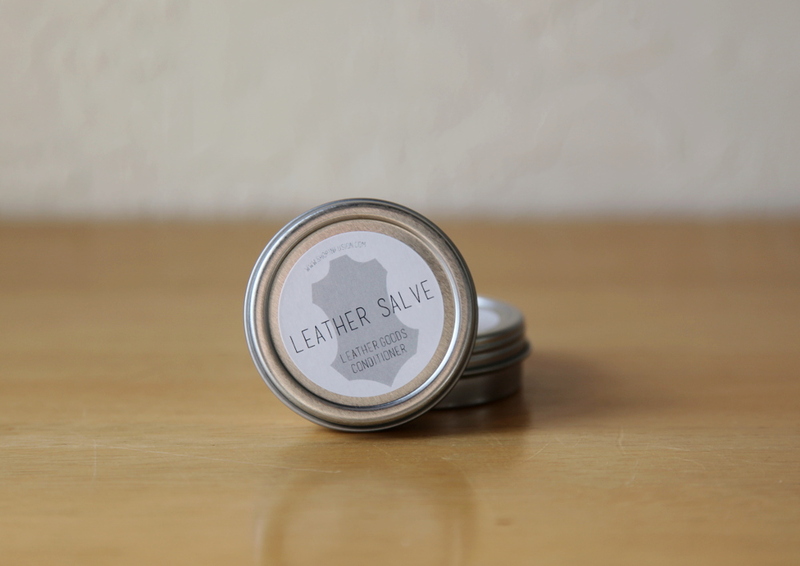 The wax in the formula will provide a breathable, water resistant finish. 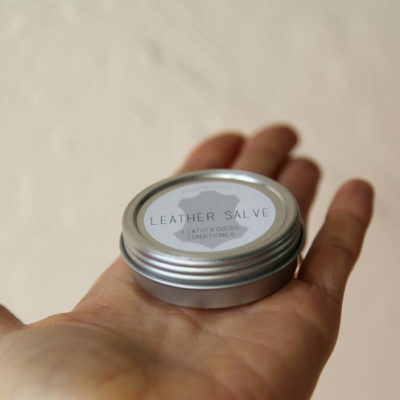 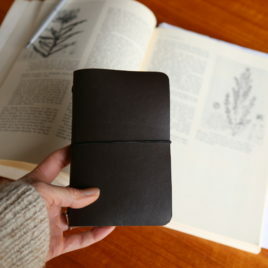 The leather will appear darker with use, but once the salve has fully absorbed the change will be subtle. This product is not intended for use on suede. 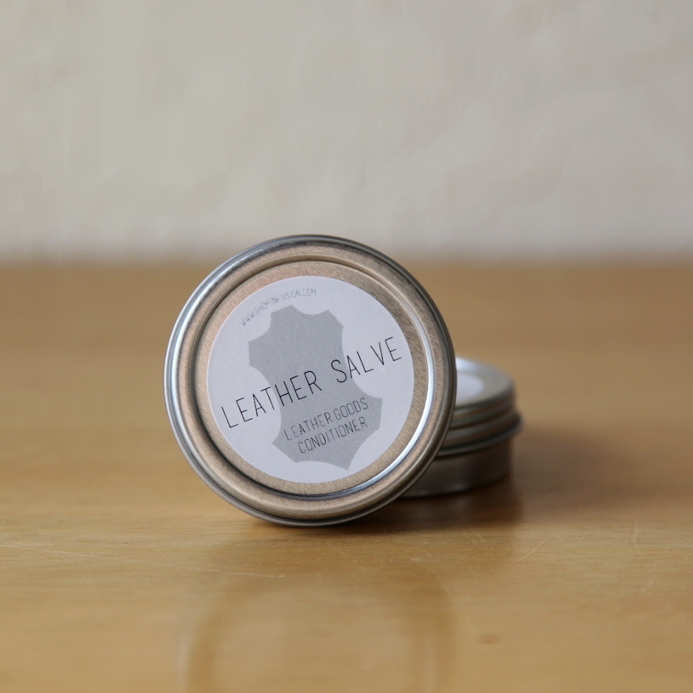 Comes in a one ounce tin with a twist on cap. 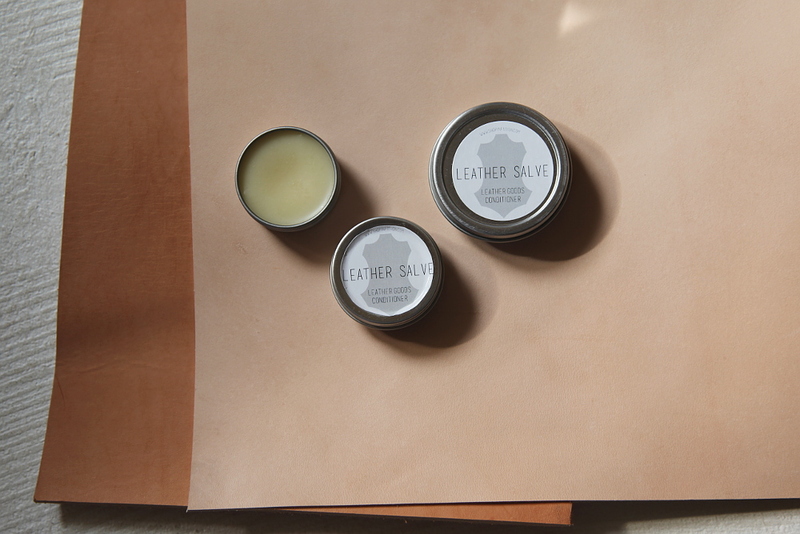 Each tin comes with a small piece of cloth for application. 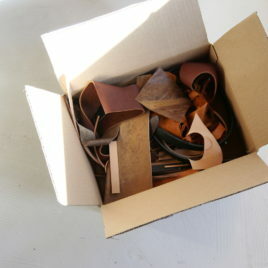 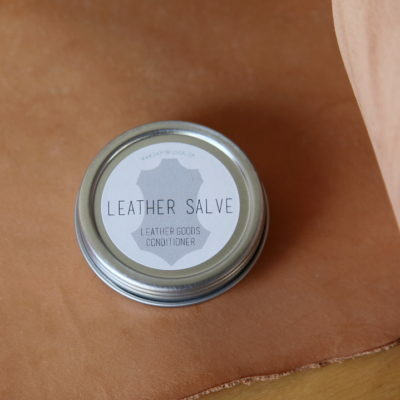 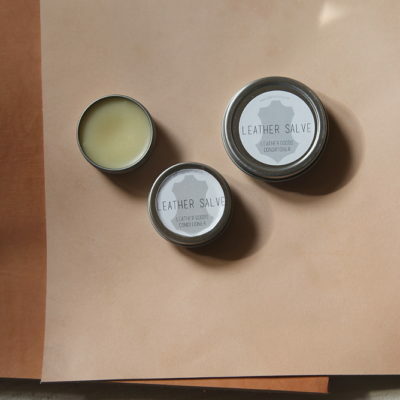 Learn more about the process of caring for leather with our Leather Salve here.